The proposed South Hams coverage area, just west of Dartmouth, Devon. Devon residents were refused a vote on which next generation broadband plan they prefer – their own or BT’s – at a public meeting hosted by the leader of the county council. Local newspaper the Kingsbridge and Salcombe Gazette reports that residents who attended a public meeting on 22 January heard details of a fibre to the home (FTTP) project by would-be community network operator South Hams Broadband and a fibre to the cabinet (FTTC) alternative by BT and the county council-run Connecting Devon & Somerset. The paper reported that Bill Murphy, MD for BT’s Next Generation Access roll-out, told the meeting they “had an important choice to make”. County council leader John Hart, who hosted the meeting, refused to allow a vote on the two proposals. Chris White, who spoke for the South Hams Broadband project, which plans to run fibre to all the premises in three coastal parishes west of Dartmouth, was reported saying it was now “unclear” how residents would be able to make this choice. Shortly before Christmas BrokenTelephone reported that Lancashire’s B4RN and Devon’s Thurlestone (aka South Hams) community-based next generation broadband projects had passed the BDUK hurdles to qualify for money from the £20m Rural Broadband Development Fund. The next step is have their county council exclude their planned coverage areas from BT’s taxpayer-subsidised fibre to the cabinet roll-outs. As reported here earlier, BT has an effective veto over such exclusions. A 2012 analysis of the South Hams project by rural broadband consultant Adrian Wooster (whose subsequent contract with BDUK has just finished) revealed the area has 4,610 homes. Seventy per cent are main residences and 260 are social housing properties; a quarter are second homes or holiday lets. South Hams now plans to cover about a quarter of the original area. Wooster reported the average predicted speed in the project area was just 3.1Mbps, (at the time half the national average), with ADSL2+, VDSL and Docsis services all unavailable. There were 13 BT telephone exchanges. None was “unregulated”, and only in Kingsbridge did BT have competition in the form of TalkTalk. “The existence of additional operators in a telephone exchange can be a useful indicator of the markets general interest in the area, and the existence of backbone connectivity; some operators offer wholesale access to their core networks as well as retail services,” Wooster wrote. “That only Kingsbridge has additional operators is perhaps an indicator that the whole of the South Hams area is not considered attractive to broadband operators and that backhaul connectivity may be scarce and expensive. 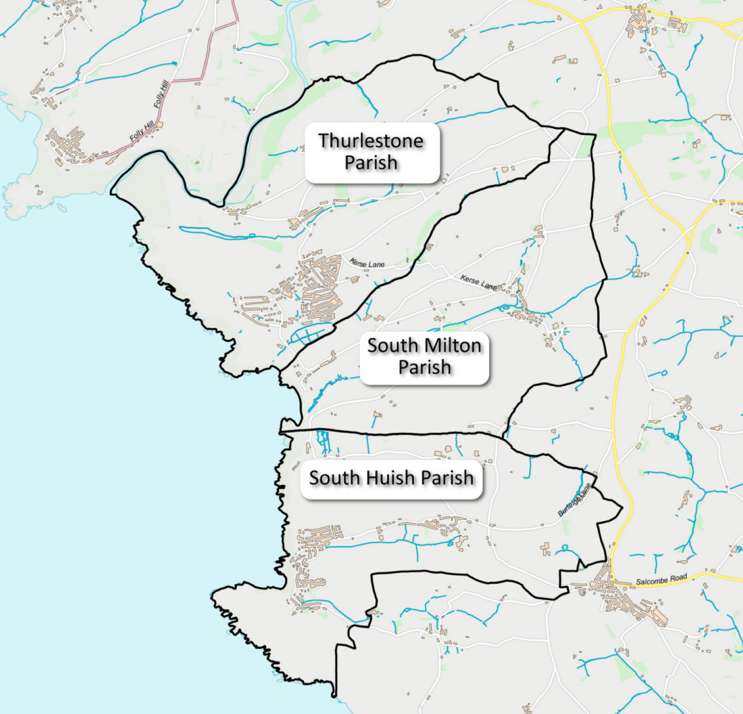 White said the South Hams plan is to make a 100Mbps symmetric service available to all premises in the parishes of Thurleston, South Milton and South Huish. He expects to issue a tender in March, select a supplier in June, and start work in July, provided the county agrees to “descope” the three parishes. Its such a shame that councils can’t work with the people isn’t it? A bit of collaboration would go a long way into ensuring that both BT and altnets could provide connectivity and choice. Handing it all over to BT leaves people with no choice at all. A choice of ISP isn’t really a choice when all roads lead back to the monopoly which is openreach. Its a shame councillors don’t understand. The people won’t forget when it comes to election time. I’m afraid I don’t think descoping is the answer. We can’t pretend BT doesn’t exist. Services for the last 10% have to be sustainable alongside BT, not try to get more funding by taking areas already contracted under BDUK. Sorry James but de-scoping IS the answer, since otherwise you end up with projects shelved, such as in Gigaclear’s recent case in Wiltshire, where the county and BT decided to press ahead with an FTTC plan that won’t reach all the premises in the area, and which spends taxpayers’ money rather than let a commercial project go ahead. De-scoping an area has to happen first, which should be quite easy for county councils since the ‘final 10%’ premises are outside the immediate BT contracts. Local authorities with more vision are what’s required. Excluding an area because of a commercial build is quite different. If a commercial operation has plans for an area that the residents support, then it should be excluded. That’s nor the issue here though, is it. Here they want to descope to divert the public funding for the area elsewhere. The project needs public money AND the absence of BT to be viable. It’s not all last 10% or there would be no need to descope. We have to develop project that do solve the problems of the last 10%, and find ways to fund and support them. Were I the council I would look at what I was getting for taxpayers’ money. It appears that public money is needed for about 35% of South Hams’ costs, the rest comes from the community and bank loans. For that all residents get access to a 1Gbps service, With BT it’s harder to say, but taking the average for the two counties, taxpayer funding is above 50% and some residents will get an up to 80Mbps service. I really cannot see the argument for not descoping. Could you outline the impact of the changes in Fibre on Demand pricing on your project? Are you FTTP GPON only or are you relying on extending the services from the Cabinet? Did Bill Murphy inform the meeting that they have increased the rental on fibre on demand from £38pm wholesale to £99 per month? This I think ought to be treated as a material change to the Framework as it has been used in its £38pm form to reassure councils of BT’s desire to assure remote farms thay could connect should the cabinet be too far. At £99pm wholesale (> £120pm retail) + higher connection and installation charges, this product can no longer be considered a contender. You must also consider that the NAO did identify some 20% of the BDUK framework cabinet/path cost some £16k addtional charges per path to ready the FTTC path for fibre on demand. I assume this key portfolio change will mean these costs can now be spent on specific FTTP projects which can now be re-tendered as FTTP is not specifically referenced as measurable deliverable any of the Council targets. I have seen twitter exchanges reinforcing the change in status of BT intentions but more information is needed. Nice to see the Leader of Devon CC is supporting the Governments “Localism initiative”…with another nail in its coffin. Can you report what funding community broadband projects have please. I appreciate you are following the big money going to BT but if there are hundreds of community broadband groups each given £20,000 from non-expert parish councils, community type funds from non-expert district councils etc it adds up. South Hams has the non-expert county council logo too on its website, has it also had grants from county level? And Lottery funding according to its website. If these projects aren’t viable it’s a total waste of money. Is it paid back? Selina, I would love to, but there are scores of communities and it’s hard to keep up with them all. Besides, some want to get on with what they are doing without attracting undue attention, a bit like hobbits sneaking through Mordor avoiding Sauron’s eye. The other thing is that most seem to be funded privately or with a stipend from parish councils. I am not aware that any non-BT network operator has received money from the RCBF, ECRF or any of the other recognised sources of funds for rural broadband. If readers know of any, please let me know. The cities are a different matter; several altnets have managed to get money from the Urban Broadband Funds despite BT and Virgin Media, but at £3,000 a customer, you need quite a lot of customers in one place to make it worthwhile. That said, if there’s a demand for a list such as you propose. and people are willing to help, I’d be happy to host a database on this site so that everyone can share best practice. I’ll set up a form that those responsible can fill in. It will include space for a phone number so I can call to verify the data. Let me know.